Canadian Visa Agents in Nigeria – The best Canadian immigration agents in Nigeria and their contact details. An important issue that gives Nigerians who want to travel to Canada utmost concern is the process of visa application and interview. Although these are not particularly tough nuts to crack, care must be taken when filling forms and also while responding to questions asked at the Canadian immigration centres where such person is applying to avoid rejection. Also there are some trivial mistakes that a person who is not conversant with the process can make and may lead to the decline of their visa application. 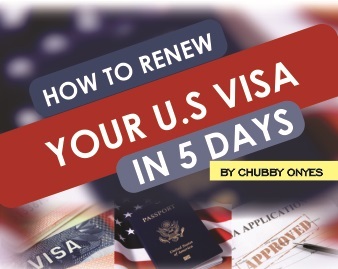 It is usually recommended for those who do not want to take the risk of making mistakes that may jeopardise their visa being approved to apply for the Canadian visa in Nigeria through immigration consultants or a travel agency. The advantage of applying through a travel agency is that one gets the opportunity to be guided by professionals who are experienced and can wriggle through the process without much issues. This ultimately increases the chances of applying successfully and obtaining a visa exponentially. However, there are several unprofessional travel agencies all over the country therefore, it is important to take your time in choosing the best consultant to facilitate your visa application to Canada as this is a crucial deciding factor that will save you from being rejected. This travel agency was established in 2014 and is made of travel consultants who are especially skilled in guiding applicants through the visa application process. They are experienced in all types of visa applications and will ensure a smooth process till visa is approved. The Drums School finders are especially helpful when it comes to getting students visa or study permits in Canada. They have been in operation for a number of years and have since developed a reliable visa consultation platform. Tar Global is a registered consulting service provider that helps individuals from Nigeria obtain Canadian visa. They provide support for people migrating to Canada for employment, education, business ventures or permanent residency. You can consult them for your skilled Worker Immigration, Family Class Sponsorship, Investors and Entrepreneurs, Canadian Experience Class and Provincial Nominee Program. Canrelocate specialises in Canadian immigration consulting services for Nigerians who wish to travel to Canada to work, do business, invest or just visit as tourist. Canrelocate will provide adequate guide to visa processing that will ensure a hitch free visa application. The Lekkside consultants have been in operation for about 10 years and are well known for their expert agents and visa consultation services. They also deal in all forms of visa and are especially reliable. 115 Obafemi Awolowo Way, 08092193505. They specialise in organising excursions and tours for institution such as Churches, Corporate organization, and individuals to Canada and other parts of the world. Flomid was established in 2012 and have since been delivering excellent visa application consulting services to clients. The student Travel Help have been in operation since 2010 and have grown to become one of the best travelling agencies in Nigeria. Although, you can contact student travel help for all forms of Canadian visa application, as their name implies, their specialty is in securing students visa and study permits. Osogbo, Osun, Nigeria Lagos, Nigeria. Domival Travel Services are recognised for reliable and assuring visa application services. They are skilled in travel management, consultation and visa procurement services. Apart from assisting with the visa applicant process, Ticket House will also help with your travel itinerary,airline booking and hotel reservation to ensure your smooth migration to Canada. Appellate Limited provides experts services in handling all forms of Canadian visa applications and visa extension for Nigerians. Canaan Travel & Tours Limited. Canaan Travel and Tours offer consultation and guide on getting Canadian Visa. They offer help on getting both International tickets and tour packages. At Diya9ja, you will be attended to by expert Visa consultants who offer assistance to Nigerians on visa application, e-Passport Procurement and all other immigration related issues. Execurand Immigration and Business Services. They provide consultancy services to Nigerians wishing to live, work and study in Canada and other countries outside Nigeria. Off Awolowo Way, Ikeja, Lagos. 0805 626 1017. Glenn ventures consist of expert visa consultants who would take you through the process of visa application successfully. Ikeja, Lagos. 0803 302 7439. Ibadek Tyma Global Company Limited. Travel and Tourism Consultants to Nigerians going to Canada and other foreign countries. Maconvic Travels consists of consultants who are specialised in International student Visa to Canada as well as obtaining study permits to individuals from Nigeria to Canada. 16, Amaram Extension, Owerri, Imo State. +234 (0) 803 932 1210, 0706 278 004. You can get access to support services for Canada Admission and Study Permit as well as other forms of Visa application at Goldenchips Education. Off Michael Opara Crescent, Ozuoba Port-Harcourt, River State, Nigeria. Talexop is known for providing aid on procurement of visa, expatriates quota, business permit and international passport. 52, Raymond Njoku Street, Ikoyi, Lagos. Phone: +234 1 8917836, (0) 802 376 4380. ITEN provides consultation on global travels especially visa processing application to Canada. They provide necessary guide needed to successfully apply obtain Visa to Canada from Nigeria. Visa Direct was setup in 2002 to provide visa application support to Nigerians. They help individuals go through the process of obtaining visa to Canada successfully. They specialise in tourist visa, work visa as well as Student visa. They can also be contacted for permanence residence visa application. Also sometimes called Mel Educational Services was set up to assist Nigerians obtain visa to Canada and other countries. Right4staff Limited was incorporated in 2011 and for the purpose of personnel outsourcing and recruiting. However, they have been identified for their expert services in mmigration consultancy as well as visa application processing. Lekki Phase 1, Lagos, 08039250336. Established in the year 2000, Heartprint Limited specialises in various types of immigration consultancy services including work and student visa procurement, group travel, as well as ticketing. They provide consultancy for both temporary and permanent visa application to Canada. 2nd Floor, Children Place Plaza, +234 08054956925. 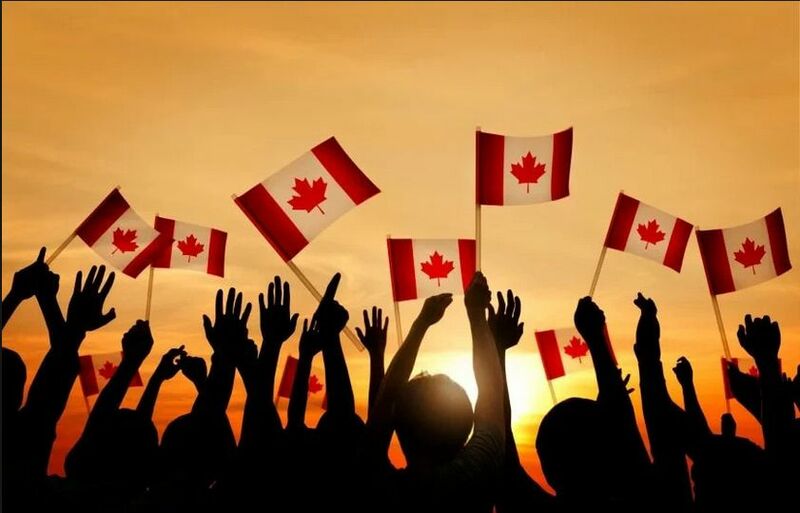 Having listed the best travel agencies that you can consider to help with your Canadian visa application process, it is important that I state here that the decision to choose a travel agency is solely up to you. Hence I have listed a number of factors you should consider in selecting a travel agency to help with your visa procurement to Canada. Be sure of their registration and accreditation: do not entrust your visa application to agencies that are not registered or do not have sufficient accreditation. Make no exceptions when it come to the services you are being offered. Once you notice something inappropriate, make your concerns known and if nothing is done to correct it, then you should possibly withdraw your application from their services. Take note that the Canadian government through the Immigration Refugee and Citizenship Canada (IRCC) is the one in charge of granting visa approval. Therefore no consulting agency can give you a 100 % assurance of your Canadian visa application been approved. The purpose of going through an agency is solely to improve your chances of getting approved exponentially. The whole process of Canadian visa application will be easier if one applies for the visa via a travel agency. They are experienced in the processes, familiar with the IRCC and the way it works and can help you obtain your visa without any hitch. How do we confirm their registration and accreditation? Is it with the Canadian Immigration Agency /Government or with Nigeria authorities? Pls reply urgent to know what to do. Why are some of the Agent charged to so much up to $1500 for the application for a student. how can i get a canada visa? is it possible to get the visa? like how much will it cost? I am interested in securing a work permit to Canada. But have limited finances as I have done before and it didn’t work. Are there visa agents that assist with sponsorship which can can be repaid.